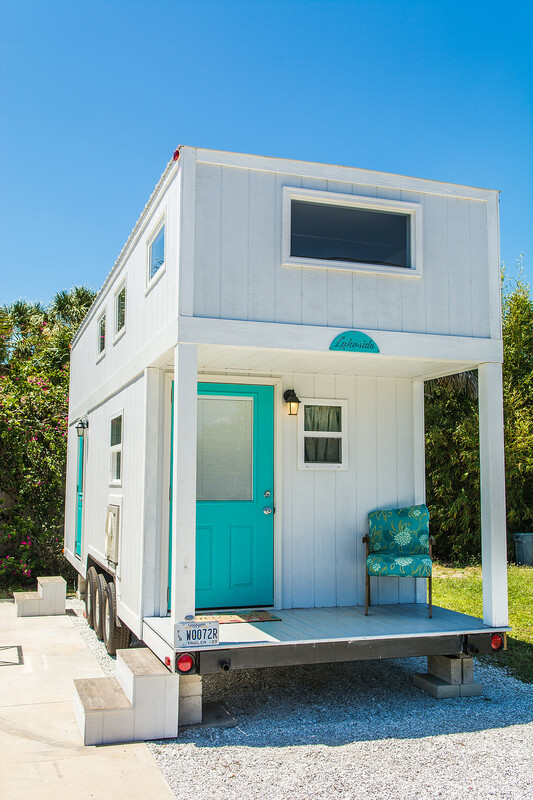 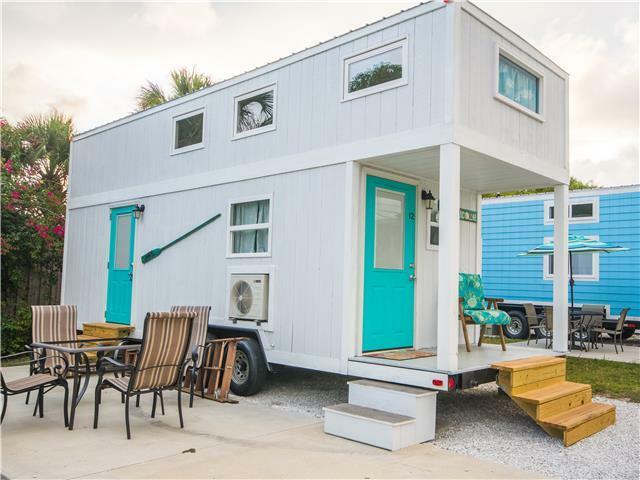 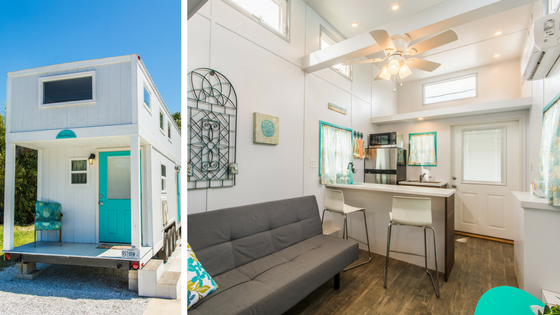 Say hello to the Sand Dollar: one of the many tiny houses available at the Tiny House Siesta resort in Sarasota, Florida! 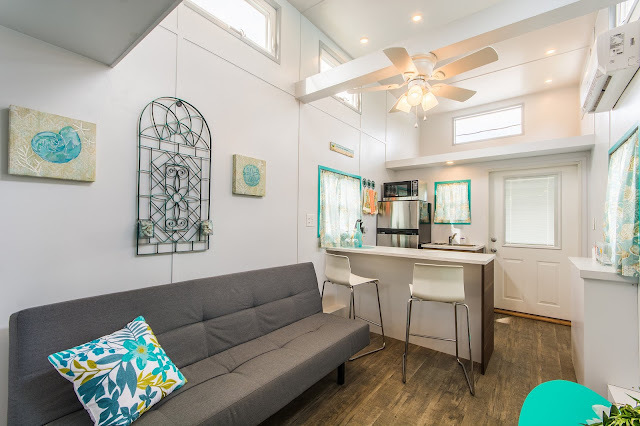 The home has a kitchen and dining room area that perfect for gathering with friends. 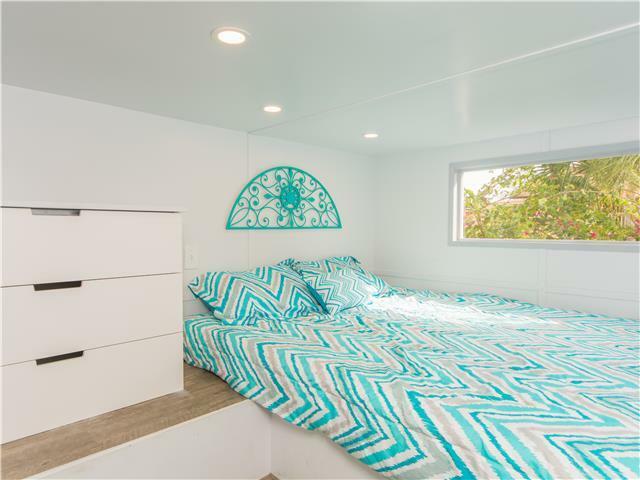 There's also a loft bedroom, a sleeper sofa in the living room, and a bathroom. 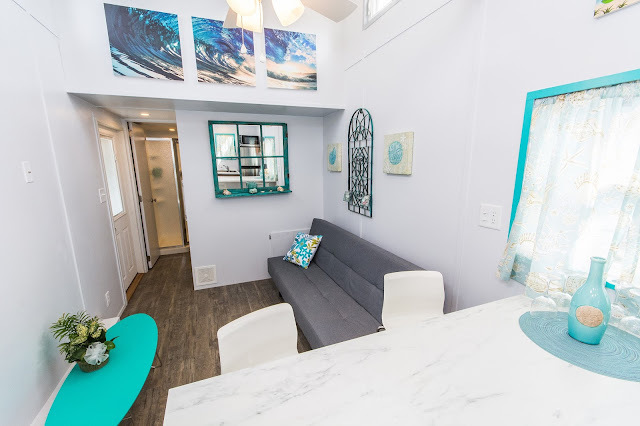 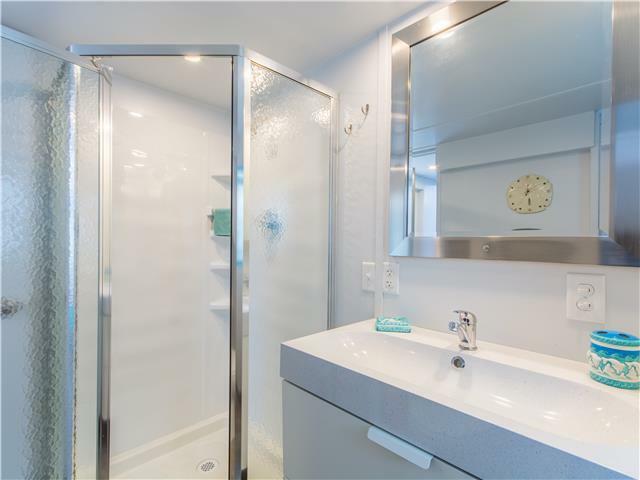 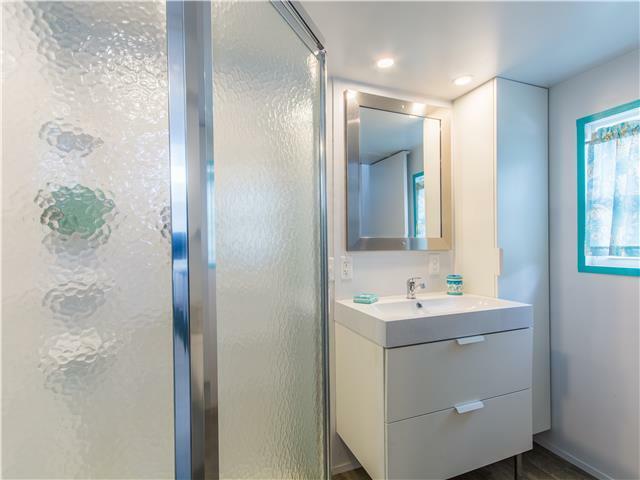 The Sand Dollar also featured vaulted ceilings to make the home feel more airy and spacious! 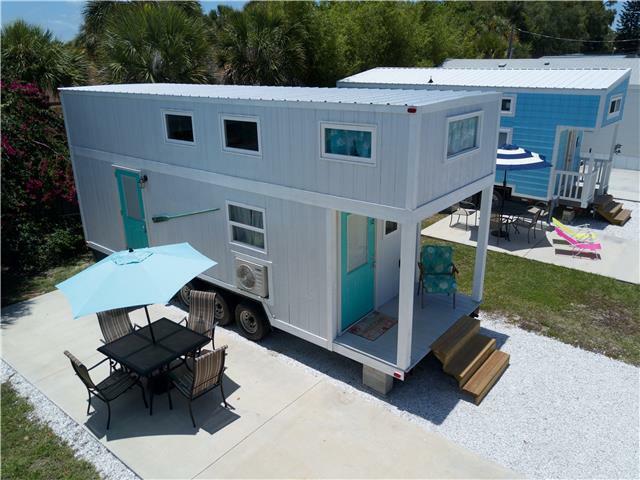 You can book the Sand Dollar here for $135 a night!